Thankfully, no yarn was (irreparably) harmed by their shenanigans. I did have to pull a couple of stitches back into proper place, but the sweater is fine. OUR TOBERMORY CAT PULLED THE SAME KIND OF TRICK! Ha! Kitties are so silly! I have to block my work in the guest bedroom due to my cats. So, you’re not alone! 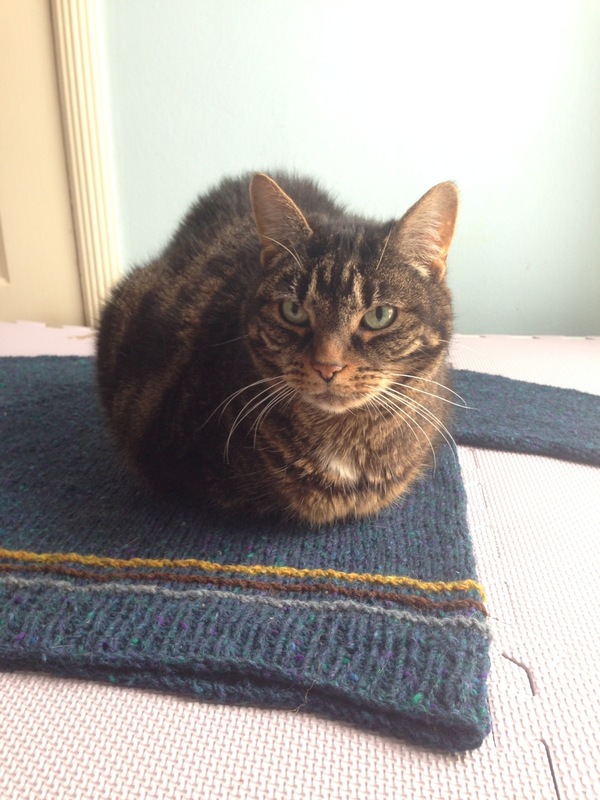 What is it about cats and knits?! These kitties, they secretly run the world! My kitten now almost a year pulled out a whole row of blocking pins and left them neatly on the blocking mat Not sure how she did that! So now it will be the guest room for me too!